The Brief: What’s next for pregnant, undocumented teen after abortion ruling? Will the Trump administration appeal Tuesday's ruling that granted an undocumented immigrant minor immediate abortion access to the U.S. Supreme Court? 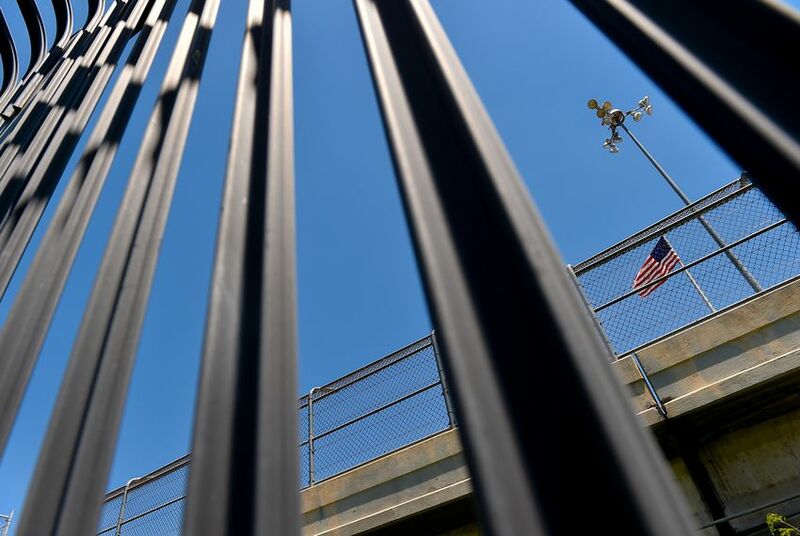 • Jane Doe, as she's referred to in legal filings, is an undocumented, unaccompanied and pregnant immigrant who was caught at the border and is being held by federal authorities at a shelter in Brownsville. She's seeking an abortion in Texas, which has prompted a month-long federal legal battle. A judge ruled Oct. 18 that Doe should have access to an abortion, and the teen scheduled one for Oct. 20. But the Trump administration appealed that ruling to the U.S. Court of Appeals for the D.C. Circuit, which blocked it the day of Doe's set abortion and said she would instead have the rest of October to find a sponsor willing to transport her to a clinic for the procedure. The American Civil Liberties Union asked the full 10-judge court to reconsider that ruling a few days later, and the panel ruled 6-3 on Tuesday that Doe can have an abortion immediately. • But even with the latest ruling, there's still no set timeline for Doe's abortion. While the ACLU said it's coordinating with a health professional in the Rio Grande Valley to set up her next appointment, Doe needs to first undergo counseling and a sonogram by the same physician who will perform the abortion 24 hours before the procedure. She already had that counseling session last week — but has to go through the process a second time since last week's ruling led to her canceling the Oct. 20 abortion. • An appeal is likely. The Trump administration can still take the case to the U.S. Supreme Court, and given that two controversial topics — abortion and immigration policy — are at play here, both sides have incentive to fight the case to the very end. Texas is part of a nine-state coalition that's defending the Trump administration's policy of blocking abortions for unaccompanied and undocumented minors. Thirteen other states have meanwhile sided with the ACLU, arguing that a federal agency can't block the abortion without stepping on the toes of state sovereignty. • The state Senate State Affairs Committee is meeting in Austin at 9 this morning to discuss how state, local and federal governments operate with one another after disasters such as Hurricane Harvey. Follow Texas Tribune reporter Matthew Choi for updates. • Is Andrew White, son of the late Gov. Mark White, running as a Democrat for governor in 2018? He's thinking about it. • Activists and industry groups are divided over a toxic Superfund site in Houston that's set for cleanup. • Lt. Gov. Dan Patrick wants senators to study free speech on Texas colleges after a public university canceled a conservative lawmaker's speaking gig amid protesters. • Ross Ramsey talked to the pollsters behind the latest UT/TT poll that tackled everything from Harvey to Confederate memorials and bathrooms. Join us in Lubbock for a conversation with GOP state lawmakers Sen. Charles Perry and Reps. Dustin Burrows and John Frullo on Nov. 3. • The Denton Record-Chronicle went to Donald Trump Jr.'s speech in Arlington, where he talked about free speech and the media. 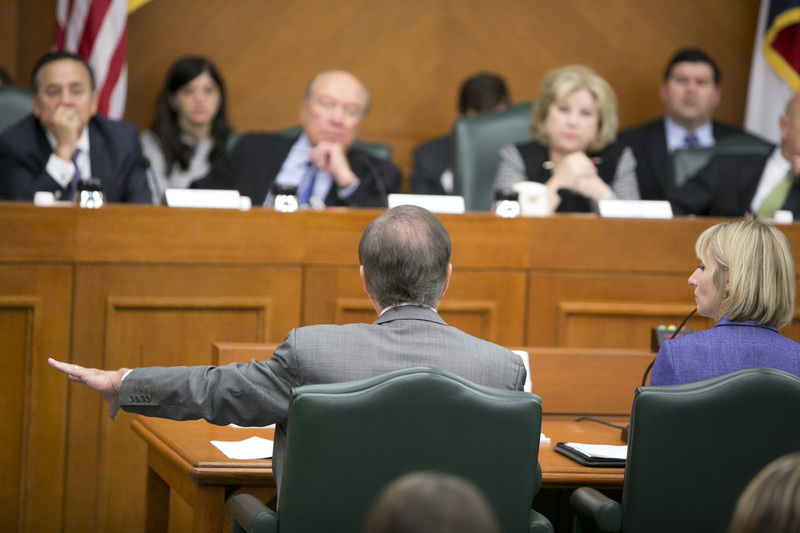 John Sharp, Harvey recovery czar and Texas A&M University chancellor, speaks during a Senate Finance Committee hearing in Austin on Oct. 24, 2017. Photo by Marjorie Kamys Cotera for The Texas Tribune. See more photos on our Instagram account. "It’s a big pile of poison that needs to be taken away." — Rock Owens, a Harris County attorney, on a hazardous Superfund site in Houston that's set for cleanup.